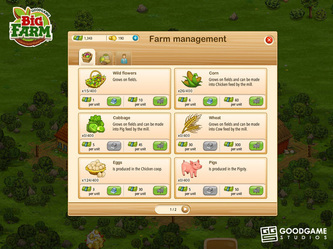 Big Farm is a success story for multi-player and time management online game, developed by Goodgame Studios team. 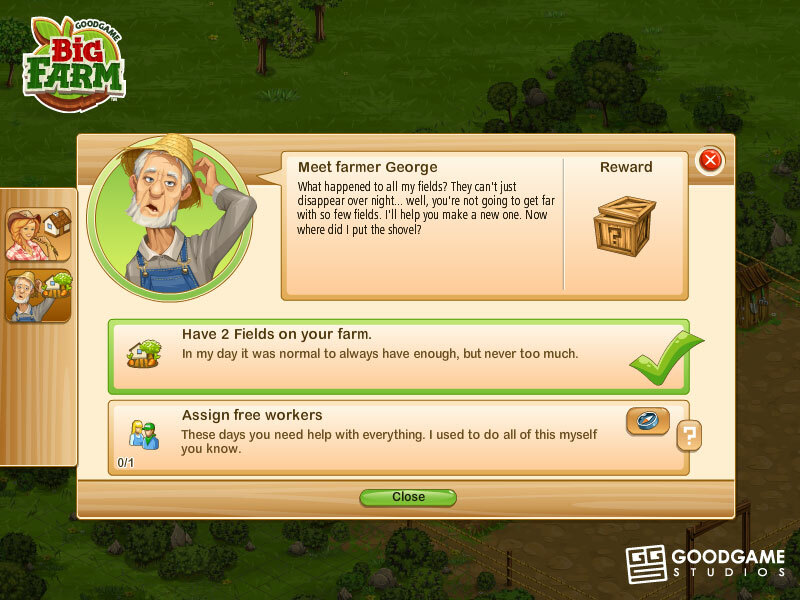 After registration, you will receive a farm in a pretty bad shape that you received as a gift from uncle George. 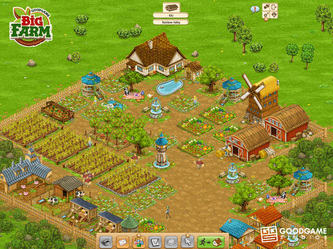 Now it's your turn to use your business skills to improve the farm business and change the place your way! However, you are not alone. You will receive help of family, friends and even your neighbors. 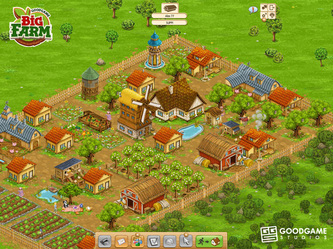 Do not worry, you are going to turn the overgrown barnyard into a beautiful and prosperous farm again. Please plant the right harvest, crops and process them and sell with the profit. Please also take care for your animals and make sure that your workers are happy. 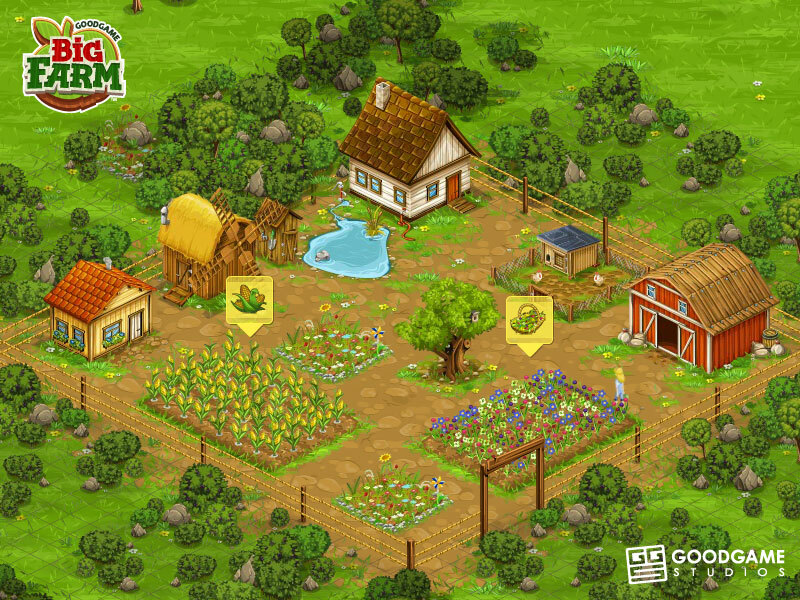 We are sure that your farm will grow successfully. Enjoy! 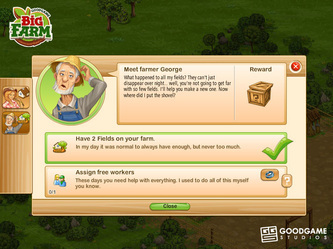 The Goodgame Big Farm browser game was released in fall 2012 and received immediate attention from players around the world. 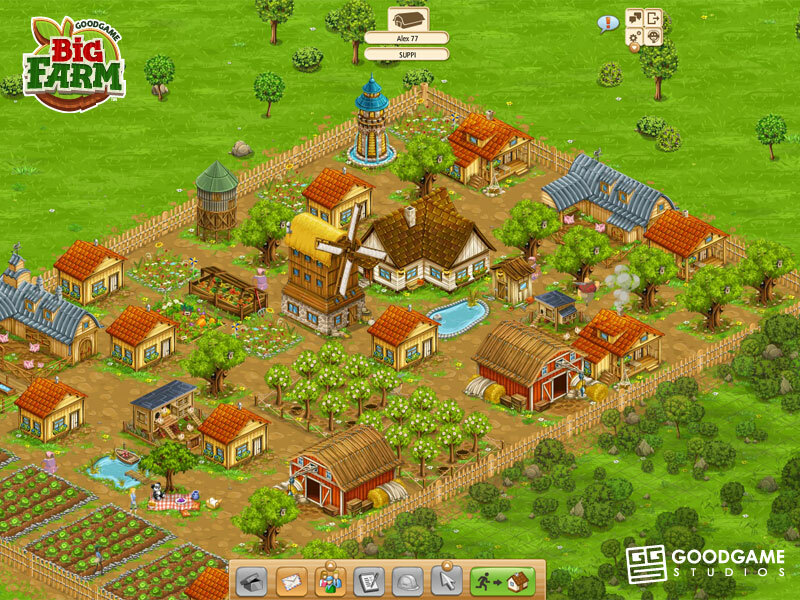 After only six weeks on the market, Big Farm attracted a million registrations, and 6 millions players after six months. 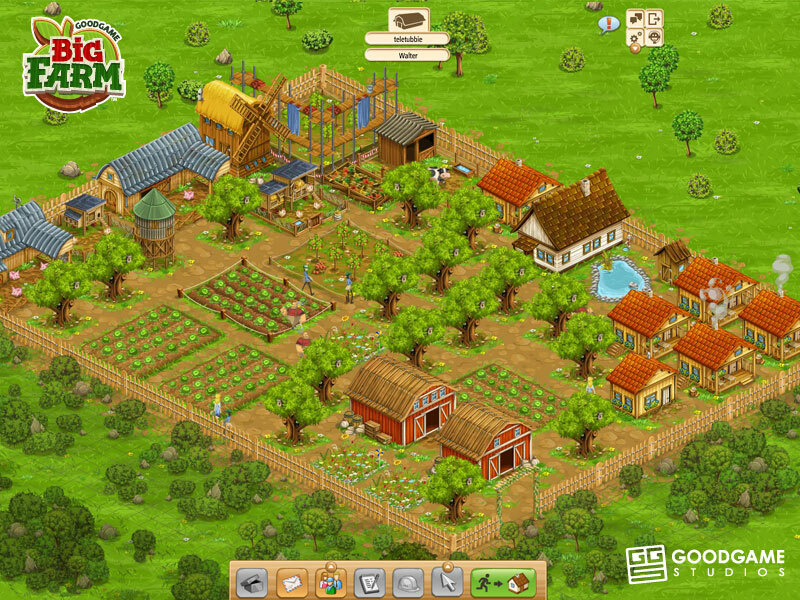 Right now (as for August 2013) Big Farm game has over 15 million registered players. This is really a great achievement. 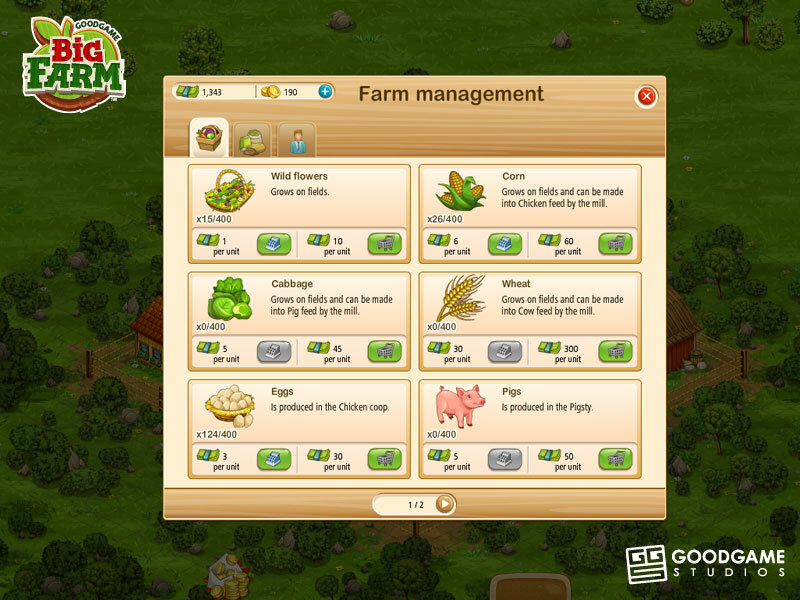 Big Farm is not only a fun game, there are a lot of strategy that could be implemented as player could adopt is own strategy, on the competitive farm market inside the game. 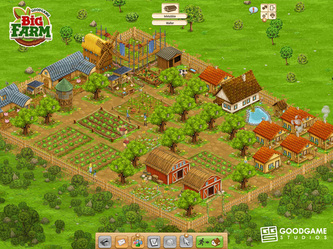 Players are happy with regular updates to the game like the introduction of the second and third farms, as addition to the main farm. Some themed events that take players on great adventures where they complete a variety of tasks, was also added recently to the game, as a main upgrade. We and fans of this game are happy that more upgrades and challenges become added in the future, as well. Appealing scheme with progressive action. We like the cheerful comic book style graphics. Many funny characters available with individual stories. A variety of tasks, competitions and other regular events (upgraded from time to time). Realistic economic cycle that makes the game more interesting. In-depth processes that impact one another. You could cooperate with other players from around the world, to help each other. Please enter your player name, email, password above and start playing this marvelous multi-player game! 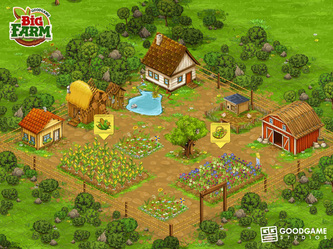 Goodgame Big Farm game could become described as: Multiplayer, Simulation, Roleplay, Time Management, Strategy, Game for Girls, Game for Boys, Fun, Farm Game. 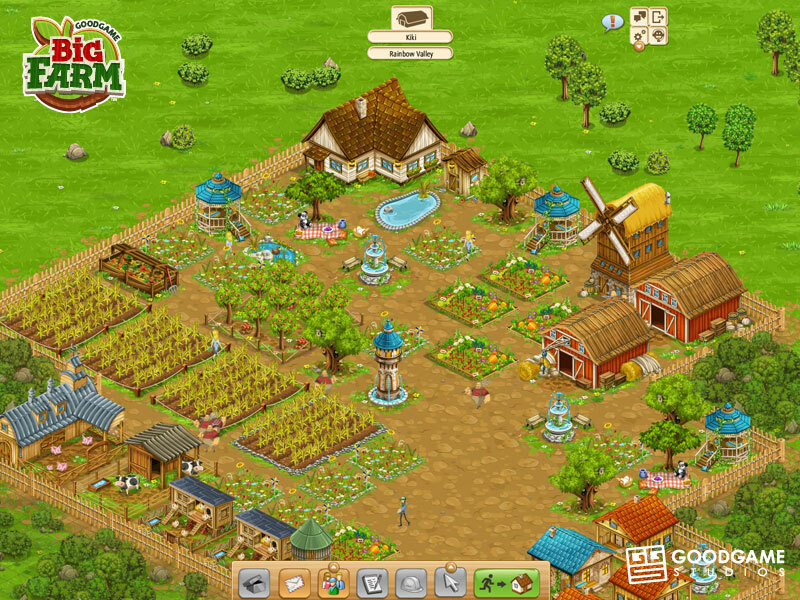 Big Farm game was developed by Goodgame Studios, which offers you the great chance to play some of the world's best free online multi-player games, with great social features and over 150+ million registered players. 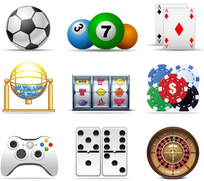 Please visit our special page about Goodgame Studios browser online games and choose your favourite game! Please watch this official short video below to enjoy short scenes from the game. Unfortunately, it's available only in German. Video courtesy by Goodgame Studios.